Induction Ranges their not the old Electric Range at all. Recently I tried cooking on an induction cooktop, I loved it. The look still made me think of those old glass top electric ranges, and I hated those for so many reasons. 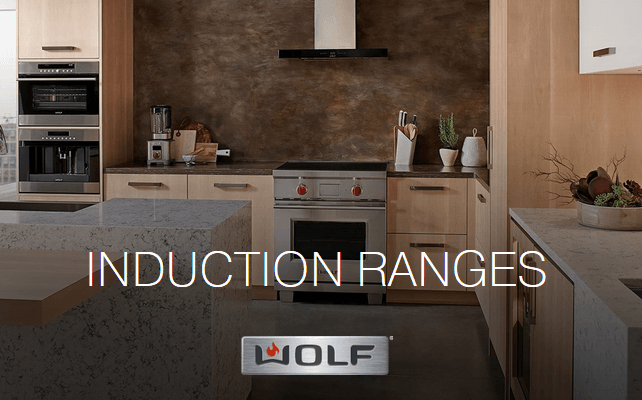 However, Wolf is onto something with these Professional & Transitional induction ranges. … an exciting new alternative to gas. 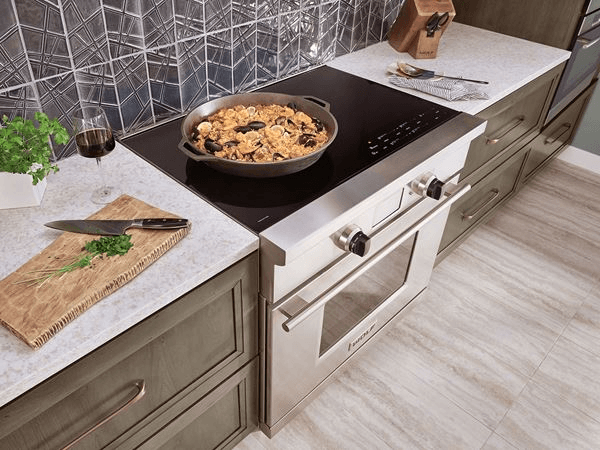 The Wolf induction range gives you a cooktop with incredible speed and control – boils water faster than gas, yet gives you precise high end to low end control. Down below, a dual convection oven bakes and roasts with reliably even heat. 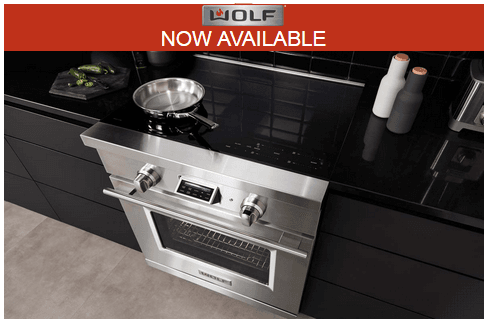 Available in 30″ and 36″ sizes – the 36″ size is exclusive to Wolf. Fasten your seat belt. 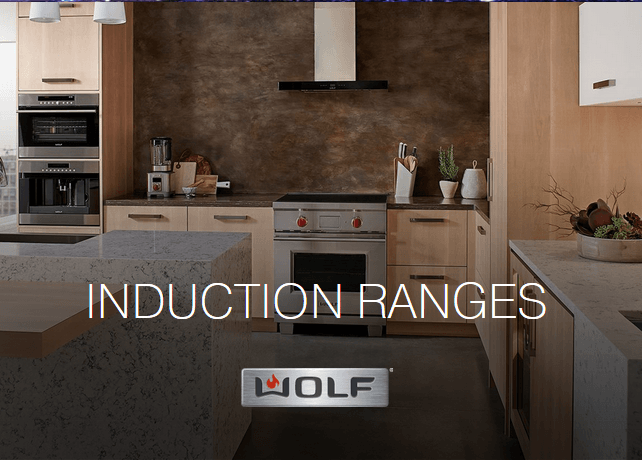 Our new induction range delivers speed and control that may be beyond anything you’ve ever experienced. The cooktop boils water faster than gas, with almost instantaneous temperature response. It also has the steady low-end control to simmer sauces and melt fine chocolate without scorching. Our E series dual convection ensures uniform heat throughout the oven. Save time by baking multiple racks of cookies or an entrée with sides. Read on for the whole story. With the cooktop of our induction range, the electricity flows through a coil to generate a magnetic field under the glass ceramic surface. When an induction-compatible pan is placed on the cooktop, currents are induced in the pan and instant heat is generated. The cooktop doesn’t heat up, the cookware does. It’s a cooking technology of startling precision and power. With faster temperature response than gas or electric, you get lightning fast sears and boils. But also very low lows, for delicate simmers and melts. Less prep time and chef-like control – what’s not to love?